Cononley Hall is a Grade II listed Georgian house set in its own large gardens just a short walk from the centre of Conoley, West Yorkshire. Cononley is a traditional, quiet Yorkshire village that has excellent transport links to Skipton and the Yorkshire Dales as well as major cities such as Leeds and Bradford. 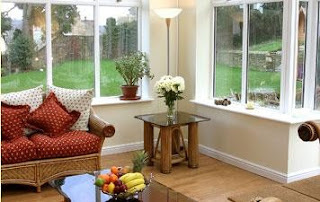 This makes our bed and breakfast is an ideal base for tourists or business people. Breakfast is taken in our tastefully decorated dining room using local produce wherever possible including our own free range eggs; you can even see the hens who laid them running around. Situated in the Aire Valley, Cononley Hall is an ideal location for those wishing to explore the picturesque Yorkshire Dales or the Bronte countryside and attractions. Being a short journey from Skipton is handy for those who want to visit the town, and we are well placed for day trips to nearby Leeds and Bradford for those who wish to explore these historic cities. The Old Courthouse B&B offers you a friendly welcome to its unique, self contained luxury B&B accommodation at Hurst Green in East Sussex. In this unusual and romantic historic building you will find a hidden gem. Vaulted ceilings, sunken candlelit tiled bath, stained glass windows, rain shower, all accessed through your own separate entrance just a few feet from where you park your car. Here we believe in our guests being happy and content and maybe even a little spoilt. Breakfast is served in the comfort of your own room, where you can dine in peace enjoying the beautiful views over the garden, trees and countryside beyond. 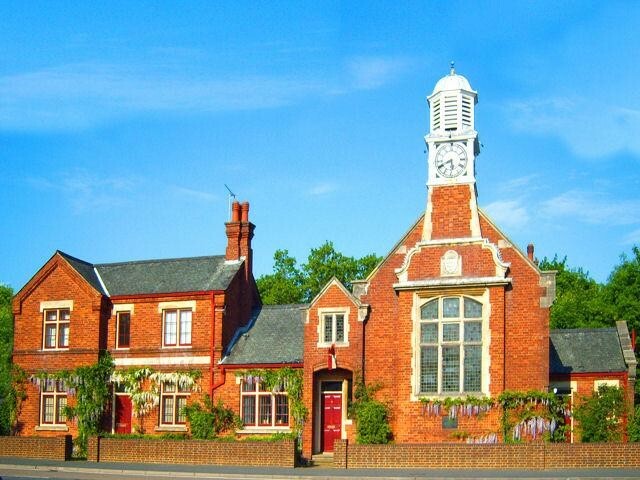 The Moorhen Horning B&B is nestled in the heart of the beautiful Norfolk Broads, less than a minutes walk from 2 riverside pubs and an outstanding fish restaurant in the pretty village of Horning. There are 5 guest rooms at the bed and breakfast. 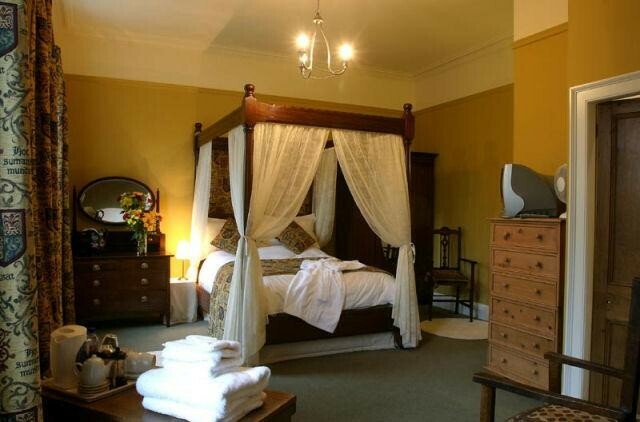 Our garden B&B rooms that are both private and peaceful, enabling you to relax and unwind. We accept pets in this part of the premises. 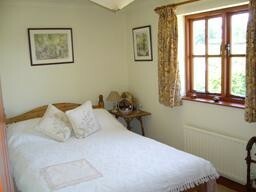 Ranworth is a lovely double room that has an en suite wet room. Salhouse is a twin B&B room that has an en suite shower room. 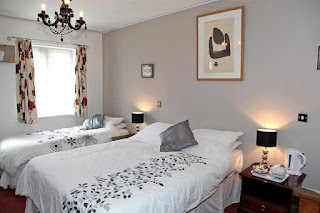 Barton and Malt house are interconnecting rooms that may be suitable for families with teenagers or friends. The Barton B&B room has a double en suite guest room and Malthouse is an en suite twin guest room. The twin beds can be made up as a double bed, there is also space for a single bed and cot. All prices include a delicious breakfast. 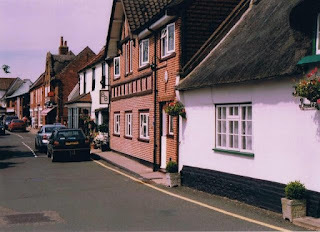 Horning is referred to as the Jewel of the Norfolk Broads. 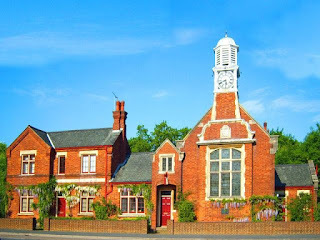 There are many activities in and around the village ranging from tree top adventure parks to beautiful stately homes and gardens and relaxing on and exploring the river in a boat or a canoe to walking and cycling through the picturesque Norfolk countryside and much more there is something for everyone. Wroxham is 5 minutes away and the wonderful city of Norwich and the stunning Norfolk coast can be reached in less than 20 minutes making The Moorhen the perfect base for exploring the Broads and the further Norfolk countryside. 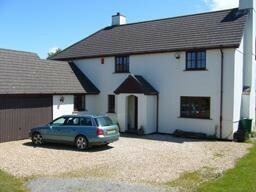 Higher Town Farm is a 2 bedroomed bed and breakfast in Woolsery, just a short drive from Bideford in Devon. Woolfardisworthy or as its known locally as Woolsery is an ideal base from which to explore North Devon and the many attractions throughout the south west of England. Both of our B&B rooms have fantastic views, Freeview television’s, tea & coffee making facilities and a shared bath & shower room between the 2 guest rooms. Both are tastefully decorated in a simple country cottage theme and have plenty of storage space. Breakfast is served in our dining room and is freshly prepared for you each morning. We will be happy to cater for special diets, please advise in advance. Packed lunches are available, if ordered the night before, at an extra charge. There is a storage area available for surfboards and bicycles. Higher Town Farm is lucky to be situated in a region with so much to do. Those active souls amongst you might like to hire a bike and cycle the Tarka Trail. Others may prefer water sports, golf, walking, fishing or riding, all of which are well catered for. Woolsery village is within easy reach of sandy beaches of Westward Ho, the fishing village of Instow and Appledore as well as Clovelly with its steep cobbled streets that can only be accessed on foot, Hartland & Stoke with their Abby and church, the stunning cliff views and costal paths of Hartland Quay and the well known surfing centre of Bude, to mention but a few. Our 5 beautifully appointed guest rooms are located in a separate building across a secluded garden. All of the guest rooms have all been decorated and furnished to a high standard to ensure guests have a relaxing retreat from which to explore the surrounding area. Each of our guest rooms has an en suite bathroom, flat screen TV with Freeview, hair dryer, complimentary toiletries and tea/coffee making facilities. Ground floor rooms are also available for those who prefer/need them. Breakfast is served in our restaurant and is freshly prepared for you each morning. Evening meals are also available or you can sit outside, relax and enjoy in our enclosed garden or sit back and watch the world go by on our patio. For the colder winter nights, relax by the fire or participate in some traditional pub games such as darts or dominoes. 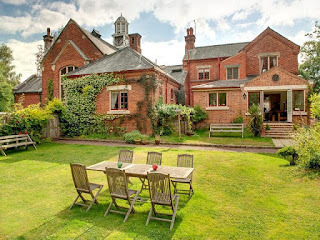 There are many attractions in Leicestershire that guests of all ages will enjoy and we are only a short drive from the city of Leicester which has many events, activities, things to do and places to visit as well as many shops to suit all tastes. 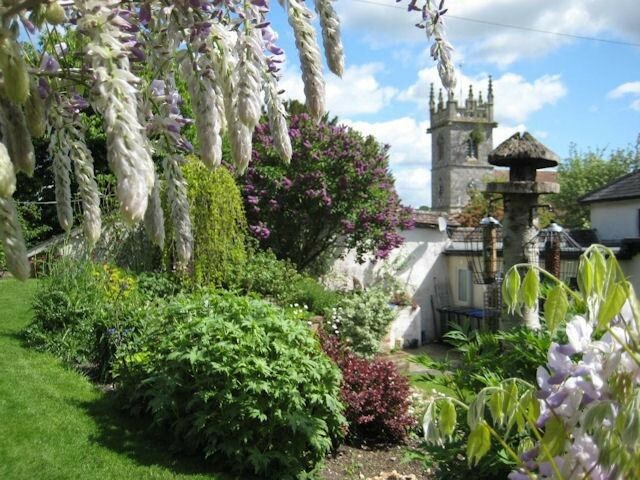 Forest House can be found in the historic town of Coleford in Gloucestershire. 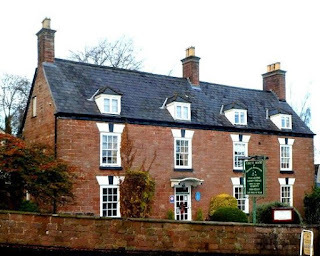 It is an 18th Centure Grade II guest house that offers comfortable and relaxing guest accommodation in the heart of The Forest of Dean. Forest House has a private car park and a secure shed for storing your bikes. We also have a large mature garden for you to use. 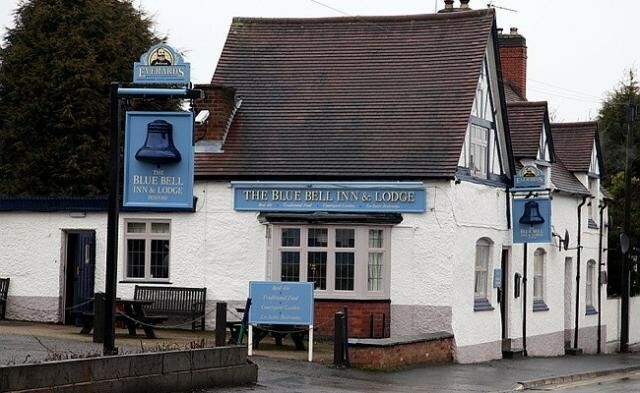 Breakfast is available in our Bluebell Restaurant which is also open from 6.30pm between Monday and Saturday for dinner. If you would like to dine in the restaurant during your stay with us, it would be advisable to book in advance, as we can get very busy, especially at weekends. We also have a new tea room coming soon! Our guest house is only 3 miles from the Wye Valley at Symonds Yat which is an Area of Outstanding Natural Beauty. Being located so near to many stunning countryside and woodland areas makes us popular with walkers, cyclists, photographers and painters. Puzzle Wood can be easily reached from our guest house which is where parts of the most recent Stars Wars film have been filmed. Clearwell is also nearby which is popular for weddings. 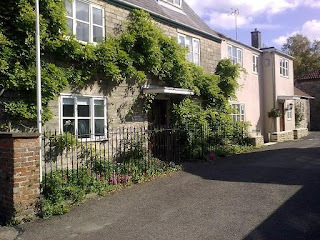 Brewery Farm House Bed & Breakfast is located at Stratton St Margaret, near Swindon in Wiltshire. You are guaranteed a warm welcome and you will be pleasantly surprised by the range of what's on offer in the local area. Breakfast is served from 7am – 7.30 am from Monday to Friday and 9am – 10am at a weekend, allowing you to enjoy a well deserved lie in. Breakfast can be served earlier or later by prior arrangement and if preferred, a packed lunch can be provided instead of a breakfast. Vegetarian diets catered for on request. Wiltshire is a beautiful part of the south of England and has many attractions to suit all guests’ interest. Coate Water, Stanton Park and Lydiard Park are just a short drive away and for those who enjoy trains, the Museum of the Great Western Railway is housed in a beautifully restored Grade II railway building in the heart of the former Swindon railway works. If shopping is your thing then you must visit Greenbridge Retail Park. Greenbridge is the perfect place to combine shopping with leisure and with more than 20 shops, restaurants and leisure facilities. Why not shop till you drop, watch the latest blockbuster movie, work out at the gym, try your luck at the bingo or relax in one of their famous named restaurants. The Old Post House is a 350 year old Grade II listed character house situated in the village of Great Wishford, approximately half way between Stonehenge (7 miles), Salisbury (5 miles) and conveniently located for a visit to Bath, Longleat, Stourhead Gardens, Avebury Stone Circle and Wilton House. 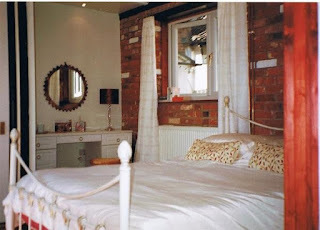 We have 3 clean and pretty en suite guest rooms. All with flat screen Freeview digital TV, free Wi-Fi access, hair dryers and tea and coffee making facilities. Laundry facilities are available. Your breakfast is cooked to order on the Aga and locally sourced produce is used wherever possible. Breakfast times are very flexible and any type of diet can usually be catered for. Our sheltered prizewinning garden is the perfect place to relax and unwind. Great Wishford has a long and ancient history and is mentioned in the Doomesday Book. Our house is shown on a map of the village dating to 1650 and we believe it was used as accommodation and stabling for the stagecoach riders and their horses. The village is well away from the traffic and crowds in an area of greenbelt conservation and Area of Outstanding Natural Beauty. 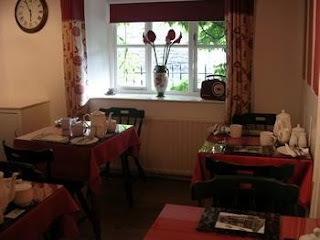 There are miles of bridleways and public footpaths to explore and 2 excellent local inns both serving very good food. The River Wylye is well known in angling circles for its crystal clear chalk stream fly fishing. 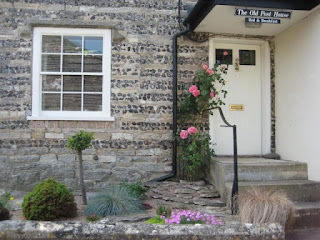 The Old Post House is a relaxed and friendly family home in a beautiful part of the country.